What is Science and Logic Behind the Idol Worship ? Even the Vedas says that each and every structure or even I can say that all the creation of this world is the manifestation of divine energy to whom we call as Almighty, Allah, God or Jesus. However, if you notice in Hinduism Sun, moon, rivers, trees are all worshipped. Because in Hinduism -nature has been formed by God or the Almighty. Hence Sun, moon, Tree, River , Sea etc. have a fixed pattern, nothing disturbs their pattern and they are formed by the divine nature and hence are manifestations of divinity which, we called as Almighty , Allah , Bhagwan or Brahma. Idol worship it’s considered as the best form of worship not only for Hindus but for all the human race. Krishna in Geeta says Human mind is very much impulsive and does not get concentrated at one point hence in the Vedic era sages invented this philosophy or methodology of Idol worship. Vedas says the human mind is very much complex and it like a small child and it is very tough to focus at one point for a longer period of time, therefore, to keep the mind at one point Idol worship was invented. READ : Can Suicide be detected by Handwriting ? Even the psychology says that human mind need one structure to have the complete focus. For example, if one person has 3 images in his hand . all the tree images are of women the first one would be of his mother and second his sister and third his wife. Definitely, the person will have a different opinion and feeling for each image. On the first image that is of his mother, the person would be having the attachment and high respect. In the second image is the person would be having the feelings or the thoughts of responsibility towards his sister on the third images the person would have thought or feeling of love and affection. Similarly, in Idol worship, the human develops a feeling of unconditional love and humanity while meditating on Idol. We all know how Eklavya- the great archer of Mahabharata Era has gained the knowledge of Weapon and archery from his mentor Dronacharya by making his mentor idol of Mud. It was due to the faith of Eklavya that he gains the highest knowledge of Ban vidya which is known to us as archery. 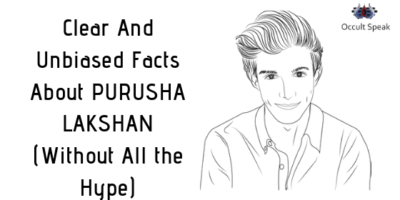 in Vedas, it is mentioned in Hindu Mythology how a small kid name as Dhruv through the method of Idol worship achieve the higher level of superconsciousness that is self-realisation. This part of Idol worship is better known as Bhakti Marg in Hinduism. Not even in Hinduism but also in all religion across the world Idol worship is given importance in Christianity the idol worship is performed in a form of Jesus Christ. The Christians worship the statue of Jesus or the Cross or Jesus on the cross in their Church. Catholics pray to Mary and have statues of her. In Islam, they worship Almighty Allah in a form of Mecca Madina that is Sange Asabadh. even in Sikhism, they worship Guru Granth Sahib. All the above example shows that whatever the religion it would be, all the religion always emphasize for Idol worship so that the beginner develop a good level of concentration. I would like to recite an real life incident from the Life Of Swami Vivekananda. In the beginning of 1891 (most probably February 1891) Swami Vivekananda reach to the state of Alwar in North India. the Prime Minister of that state (currently a district in Rajasthan) was highly impressed with the knowledge of Swami Vivekananda. he requested to Swamiji to visit His Highness-King of Alwar Raja Mangal Singh. The King of Alwar Raja Mangal Singh was living in luxury and has high ego of being a king. When he saw Swami Vivekananda as a young Monk, He started thinking how this young man has such a wide knowledge of Veda at this young age he thought of pulling his leg. Raja Mangal Singh said: Swamiji, I believe that Idol worship Is a real sign of being backwards. I really pity someone who offers turmeric, vermilion and flowers to an idol And also praying for obeisance to God. What is your opinion on this?’. Swami Vivekananda instead of replying to King of Alwar Turn towards the Prime Minister ( Diwan ) of Alwar and said Diwanji, would you please spit on the Portrait which is hung on the wall. Diwan was very much shock and trembled. Diwanji just looks from the corner of eyes at the king whose face has become red with anger and said Swamiji what are you saying this is the picture of a late father of the king. Swami Vivekananda replies Dewanjii this is just a thick paper colour with black ink. Swami Vivekananda turns to the king and said: “in this picture, there is no bone, flesh or blood of your father and it is incorrect to think it is just a thick paper with a picture of black ink similarly it is incorrect to think that the idol worship of almighty is incorrect. Similarly, The Hindu devotee who worships the idol aware that Idol is not a God but the idol reminds him of his beloved deity and s/he feels the presence of the deity in the idol. Here too it is a “symbol”. Maharaja, it is all about anubhuti (feelings and realization). But it is difficult to meditate upon the unmanifest that is formless God for a common man hence it is a first step to begin with the devotion to the almighty later he can achieve the aim of merging himself with the God. The King Raja Mangal Singh become introvert and thoughtful after listening to reply of Swami Vivekananda. 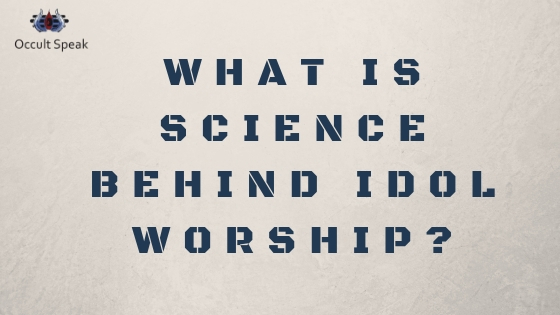 idol worshipidol worshippingidoltrywhat is science behind idol worship ?